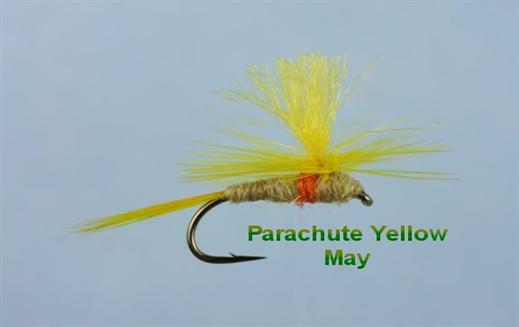 The Parachute Yellow May is a fish taker from late April through to the end of the summer. It seems to represent many insects, including mayfly struggling in the surface film. This pattern can be fished at dusk, when the light is fading as it is highly visible and provides a great silhouette for the trout. Currently there are no comments about the Parachute Yellow May fly pattern from other fly fishermen yet.